The vote came after the Commission of Inquiry on the Protests in the Occupied Palestinian Territory on Monday presented a 250-page report alleging that Israel may have committed war crimes by using live ammunition against Palestinians protesters who have been participating for the last year in the Great March of Return. 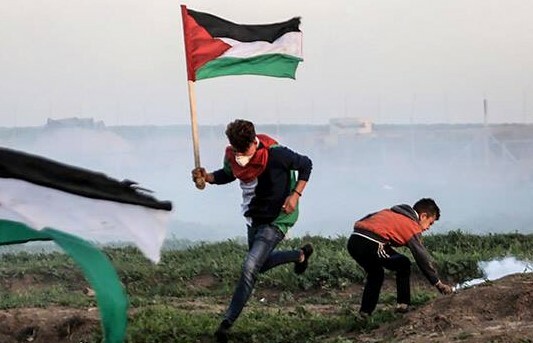 According to the probe, Israeli security forces shot more than 6,000 Palestinians who participated in protests along the Gaza border between the end of March and December 2018, killing 183 people, including 32 children. According to the commission of inquiry, fewer than 30 of those killed were “members of Palestinian organized armed groups,” adding that Israeli troops’ use of live fire was only justified in a very few cases in which they faced an immediate threat to life. The report accused Israel of having “consistently failed to meaningfully investigate and prosecute commanders and soldiers for crimes and violations committed against Palestinians.” “Israel’s record for investigating deaths of Palestinians in Gaza and the West Bank is dismal,” the report asserted. There are reasonable grounds to believe that Israeli troops tasked with fending off Gazan protesters “killed and gravely injured civilians who were neither directly participating in hostilities nor posing an imminent threat,” the report alleged. The panel said it was mandated to “identify those it deemed responsible for the violations” committed by Israel. In the latest round of protests along the Gaza border, last Friday, March 22, Israeli armed forces killed two more Palestinians, Ahmad Nidal Shtiat and Jihad Mounir Harara, during the weekly March of Return. Friday’s violence was highlighted on the front page of the three Palestinian Arabic dailies yesterday (Saturday). The papers also reported that another 55 persons were injured during the protests, including those wounded by live ammunition fired by Israeli soldiers. Saturday’s papers also told of Palestinians who were injured when Israeli soldiers suppressed peaceful protests in the occupied West Bank, in particular in the northern village of Kafr Qaddum.